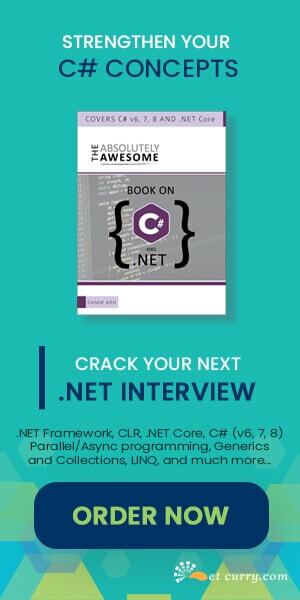 Abstract: The .NET Framework Interview Questions will give you an insight to the .NET platform. They form the basis of an interview and the interviewer asks them to guage your familiarity with the platform. The q&a have been collected over a period of time using MSDN and other similar sites. The Q&A mentioned over here have been taken from forums, my colleagues and my own experience of conducting interviews. I have tried to mention the contributor wherever possible. If you would like to contribute, kindly use the Contact form. If you think that a credit for a contribution is missing somewhere, kindly use the same contact form and I will do the needful. The .NET Framework is set of technologies that form an integral part of the .NET Platform. It is Microsoft's managed code programming model for building applications that have visually stunning user experiences, seamless and secure communication, and the ability to model a range of business processes. The .NET Framework provides a run-time environment called the Common Language Runtime, which manages the execution of code and provides services that make the development process easier. Compilers and tools expose the runtime's functionality and enable you to write code that benefits from this managed execution environment. The code that runs within the common language runtime is called managed code. · Assembly manifest - Contains the assembly metadata. An assembly manifest contains the information about the identity and version of the assembly. It also contains the information required to resolve references to types and resources. · Type metadata - Binary information that describes a program. You need to assign a strong name to an assembly to place it in the GAC and make it globally accessible. A strong name consists of a name that consists of an assembly's identity (text name, version number, and culture information), a public key and a digital signature generated over the assembly. The .NET Framework provides a tool called the Strong Name Tool (Sn.exe), which allows verification and key pair and signature generation. This site has been extremely helpful for me. These questions are very good.I am a project trainer in .net.This type of articles will help me to give interview gudance to my students.If any list is there please mail me. i think to study this questions ,before attending interview is very helpful. i would like to say thanq for who has taughat for putting this information. Thanks everyone for their comments. I will try and add some new questions in the near future. This site is amazing.You can easily understand everything.You just try once i am defilnitely sure u will get everythng which u want.Thanx a ton dotnetcurry. i read this article.it is awesome task. You just try once i am defilnitely sure u will get everythng which u want.Thanx a ton dotnetcurry. Biswaranjan: I have that on my list. I will post them in a few days. "Generations are the division of objects on the managed heap used by the garbage collector. This mechanism allows the garbage collector to perform highly optimized garbage collection. The unreachable objects are placed in generation 0, the reachable objects are placed in generation 1, and the objects that survive the collection process are promoted to higher generations." I have a confusion. My thought was that new objects are created in Generation 0 and if the objects which survived from the GC aur promoted to higher generation. Am i right? If yes thn wat does it mean "The unreachable objects are placed in generation 0?". because it is not necessary that generation 0 objects are unreachable. My concept regarding the reachable objects is that when the GC runs it find all the reachable objects in heap by using the roots which are generation by JIT. Good collection , thanks for providing. Really very easy to understand.but still I found some loopholes in terms of depth of the Topic. can u just enhance the no of questions covering versions of .net,DLL, Event handling,Views,Datagrid, which are often asked by interviewers at fresher level. Try more to upload best .net ques and ans. hey the site has broken link! click on Latest Articale link it gives me runtime server error!! Ruksana: I just tried the Latest article section and it works fine. Let me know if the error occurs again. Had I read it before I gone for Interview, I'd got a job in MNC. The same questions what they asked. However, I got in to another MNC with this. Very very nice information. Excellent ,,,,,,,10 out of 10 . Assembly is not a collection of .exe or DLLs. However an assembly can have a file extension of .exe or .dll. An assembly is a collection of types and resources grouped as their respective functionality. • What's the difference between overriding and overloading? • Explain what the StringBuilder class is and why you'd want to use it? And difference between string and stringbuilder? • What does the "override" and “new” keyword in C# mean, (in interface)? • Explain what happens when you pass a "ref" or "out" parameter into a method. What's the difference between those two keywords? • What's the difference between a left join and an inner join? • What's use of keyword using()? When would you will use? • What's the difference between a DataTable and a DataReader? • What's the difference between a value-type and a reference type? • What does the "readonly" keyword in C# mean? • Static, readonly and const difference? • What's the difference between a static method and a non-static method? • Whats the difference between an abstract class and interface? When would you will use them? • What is Garbage collection? How it works. • When and How to enforce garbage collector to run? • Use of finalize and Dispose? • What are IDisposable objects. • What's the difference between viewstate and sessionstate? • How lifecycle of an object in stack works/who and how to destroy/release memory in stacks? • What is a postback and autoppostback? • Different state management techniques. • What is session. How to implement it. • Difference between authentication and authorization? • How you implemented authentication in your project? 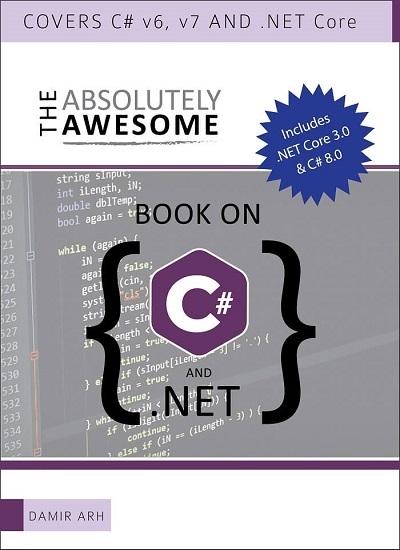 • What are the exception handling techniques in .net? can you use finally instead of catch with try. • Why we use ispostback? • Page_Load method, best use? • What way you can implement polymorphism in .net? • Can you use multiple inheritance in .net? • What is Globalization and localization in asp.net? • What is nullable types? • Difference between application domain and application pool. • Diference between Response.redirect, server.transfer?